We are a group of Veterans and non-Veterans, whose main focus is to support the Northern Nevada Veterans Memorial Cemetery (NNVMC). We participate in the restoration and/or creation of memorials that enhance the special environment of the cemetery. We perform fundraisers to support any maintenance issues the NNVMC may be challenged with. Coordination of the Memorial Day and Wreaths Across America ceremonies that invite the community to paricpate and honor all of those veterans that have given their all to protect our freedoms and civil rights. It is not a requirement to be a veteran to be part of the Nevada Veterans Coalition or Honor Guard. To obtain the services of the Honor Guard for the funeral or memorial of your loved one at NNVMC, please call 775-575-6842. Our Honor Guard, made up of members of the NVC, is honored to provide military style funeral services to any and all Veterans interred at NNVMC, regardless of rank or time in service. 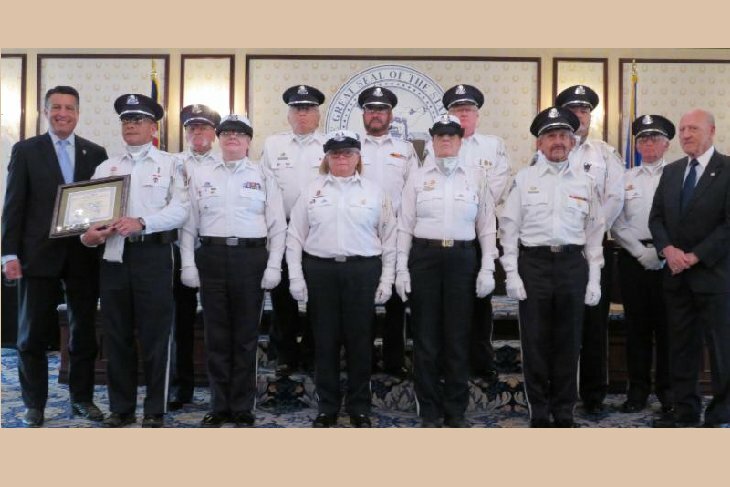 The Nevada Veteran's Coalition's Honor Guard is a ceremonial unit, military in nature and composed of NVC members. The primary role is to provide funeral honors for fallen veterans at the Northern Nevada Veterans Memorial Cemetery in Fernley, Nevada. This function includes a Chaplin reading, a singer performing "Amazing Grace", a 3 Volly Rifle Salute, the playing of Taps by a NVC Bugler and presentation of the American Flag to the nearest relative. We are also called upon to guard cemetery and veteran monuments during large ceremonial functions. Our Honor Guard has gained an excellent reputation for their precision and for the caring shown to the veteran and to the families of the veterans. These services are done, free of charge to the families. However, donations are gratefully accepted. All donations are used to further the efforts of the Honor Guard and to assist in providing support to other projects, honoring veterans. Along with our regular duties performing full military honors for veterans' interment services, we also perform monthly services for unaccompanied veterans. We invite the public to come join us. This service is held on the 4th Thursday of the month at 3:00 PM; with the exception of November and December due to holidays. We also serve as the "guardians of the colors" by displaying and escorting the national flag on ceremonial occasions and at official functions. Usually this duty is referred to as our "Color Guard". The Nevada Veteran's Coalition was recognized by Nevada Governor Brian Sandoval for their contributions to veterans and families on Tuesday, Sept. 27, 2016 at the Governor's Mansion, Carson City. Click here to visit the NDVS Facebook Page for full story. 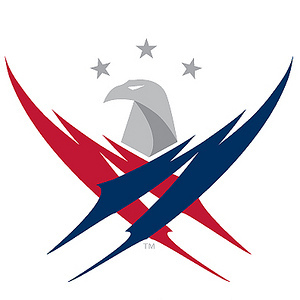 The Nevada Veterans Coalition is honored to be recognized by Gary Sinise and the Gary Sinise Foundation for "our service and committment to our country and our veterans." 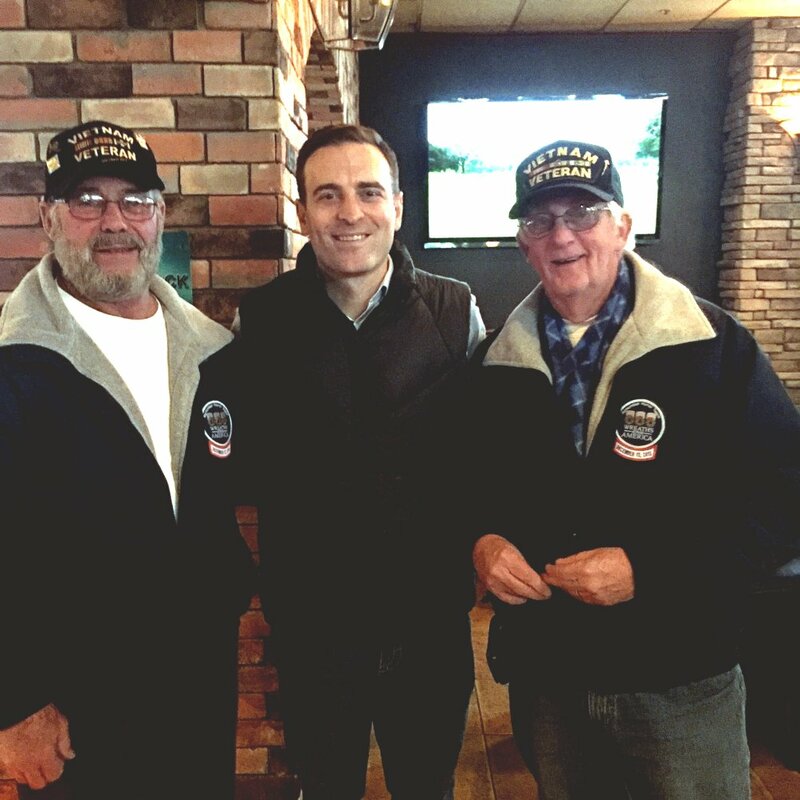 On Friday, February 5, 2016, Nevada's Attorney General, Adam Paul Laxalt, met with NVC members, Tom Draughon and Jan Hodges concerning his Office's ground breaking efforts in providing more legal help to Nevada Veterans and current military personnel. 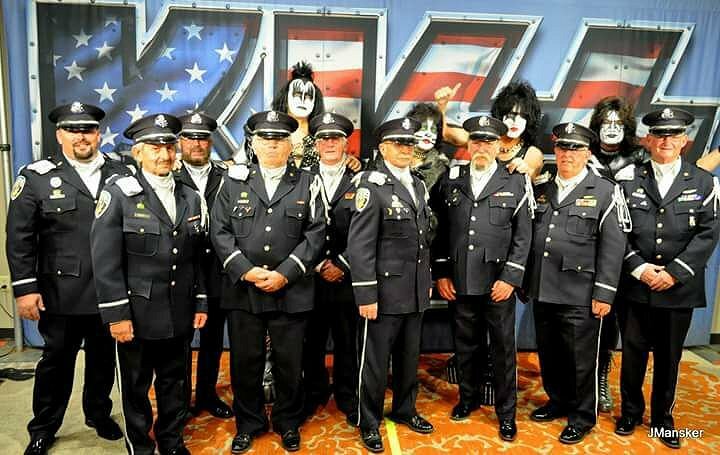 The Nevada Veteran's Coalition were the Color Guard for the KISS ® Freedom To Rock show, at The Grand Sierra Resort, in Reno, on April 21st 2017. 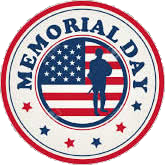 Memorial Day began on May 30th, 1868. The day was commemorated at Arlington National Cemetery as it was originally known as Decoration Day. In 1971, Congress declared that this day of recognition will forever be known as Memorial Day, an American National Holiday, and to be observed on the last Monday in May. The NVC coordinates the Memorial Day event at the NNVMC. Independence Day, also referred to as the Fourth of July or July Fourth, is a federal holiday in the United States commemorating the adoption of the Declaration of Independence on July 4, 1776. Fernley always has a wonderful parade and several events after at the Out of Town Park. The September 11 attacks (also referred to as 9/11) were a series of four coordinated terrorist attacks by the Islamic terrorist group al-Qaeda on the United States on the morning of Tuesday, September 11, 2001. The NVC coordinates the event to remember the fallen at the Out of Town park here in Fernley. We are invited several times a year to post the colors at various events. Business openings, school presentations, and miscellaneous special events. With all of the benefits available from the Nevada Department of Veterans Services [NDVS], sometimes a veteran needs guidance to become eligible for their specific needs. Having a Veteran Service Officer [VSO] in Fernley helps the local veteran population begin and complete this process, getting them all the benefits they are eligible for. With all of the benefits available from the Nevada Department of Veterans Services [NDVS], sometimes a veteran needs guidance to become eligible for their specific needs. Having a Nevada Veteran Advocate [NVA] in Fernley helps the local veteran population begin this process, getting them all the benefits they are eligible for. Contact: 775-302-3888. We coordinate and fundraise for the annual Wreaths Across America program held each year in December. We also enlist the communities help [especially the children] in placing the wreaths on the graves of the Veterans again instilling a sense of patriotism in our young. Nevada Veterans Coalition © 2018. All Rights Reserved.